Our range of library shelving is designed to offer space efficient and aesthetically pleasing storage solutions for a wide range of applications and industries. Libraries, archives, banks and offices can utilise the versatile Maxitek system to create shelving arrangements which are flexible, durable and reliable. Space optimisation, efficiency and operator convenience are priorities of a Bosco Maxitek installation. Developed and manufactured in Europe for more than twenty years, the Maxitek range draws on proven design solutions and years of development to offer a superior level of quality, flexibility and durability for every installation. The core of the Maxitek system is the central pillar construction. These uprights offer double slots at 15mm intervals to enable versatile shelving configurations. The pillar incorporates a guiding edge which eases the installation and/or replacement of loaded shelves; bay bases or displays can be easily adjusted at any time according to your needs. Download the Maxitek Library Shelving PDF or continue reading for more. From planning and conception, through manufacture and assembly Bosco provides dedicated resources to assist you in the selection, design and installation of your Maxitek shelving system. 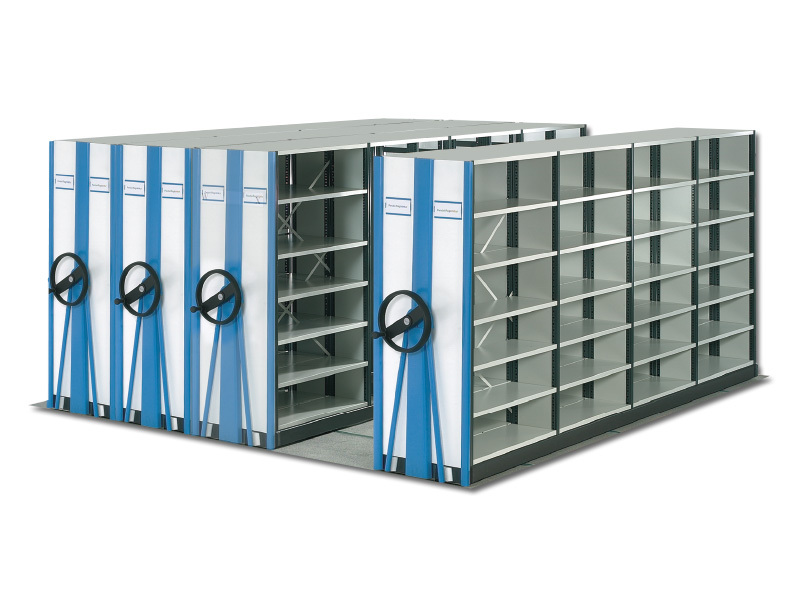 Drawing on proven designs, technical knowledge and experience, our team will work with you to ensure your Maxitek shelving system provides an ideal storage solution for your specific application. Maxitek shelving systems are manufactured by Bosco for each application. Unique configurations are assembled from the wide selection of optimised system components within the Maxitek range. Your system will be manufactured by Bosco to your requirements. This allows you the opportunity to customise your installation. Select from a wide range of shelving options, bay sizes, colours and accessories to optimise your storage solution. We understand user requirements often change, the Maxitek system has been developed and refined in Europe over the past 20 years with the flexibility to adapt to your changing needs. The modularity of the Maxitek system enables you to add shelves or accessories to your system as your needs change. The Maxitek shelves and shelf accessories can be assembled and adjusted without the use of tools or special equipment. Shelves and accessories an be positioned at 15mm intervals to suit various sized books and media. Once assembled the shelves and pillars create a load bearing structure capable of supporting heavy weights. 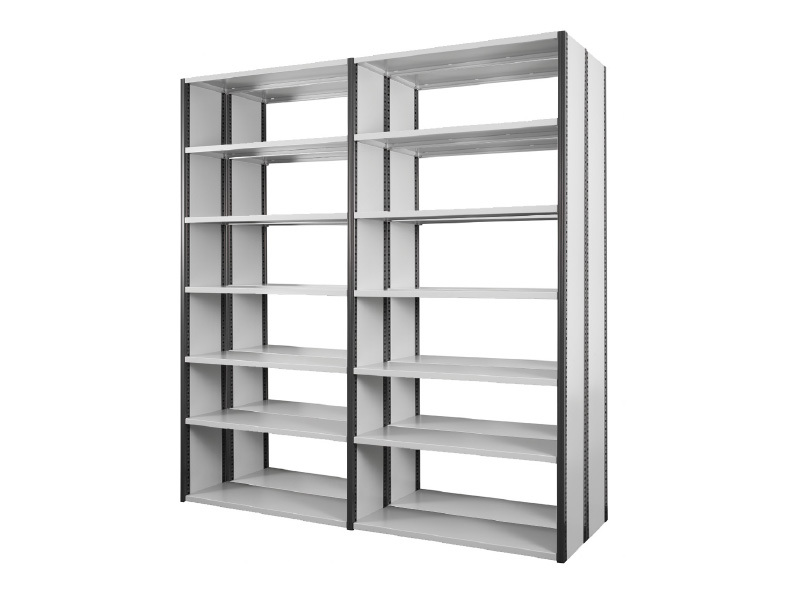 Maxitek shelves are made from high quality steel with a proven load capacity of 70kg per shelf UDL.